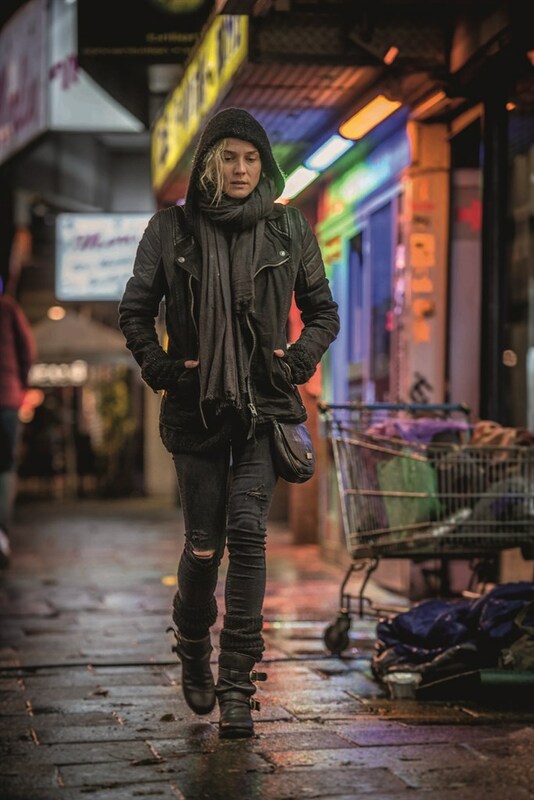 IN THE FADE, Photo courtesy of Magnolia Pictures. Katja drops her son at her husband, Nuri’s office. She kisses both of them gently hoping to see them again the same night. But what she gets instead is blown up pieces of her loved ones due to the “nail bomb” attack, appears to be specifically targeted at Nuri’s office. Trying to cope with the loss, the woman finds its way too challenging when police comes to her apartment with search warrants when they try to determine her husband’s previous connection with the criminal world. But the woman is certain – her husband has nothing to do with being killed, and she has her own idea who that people can be… But when it comes to standing in front of the court – it’s her words against social injustice, where everything she says will be used against her and to incriminate the evidence. 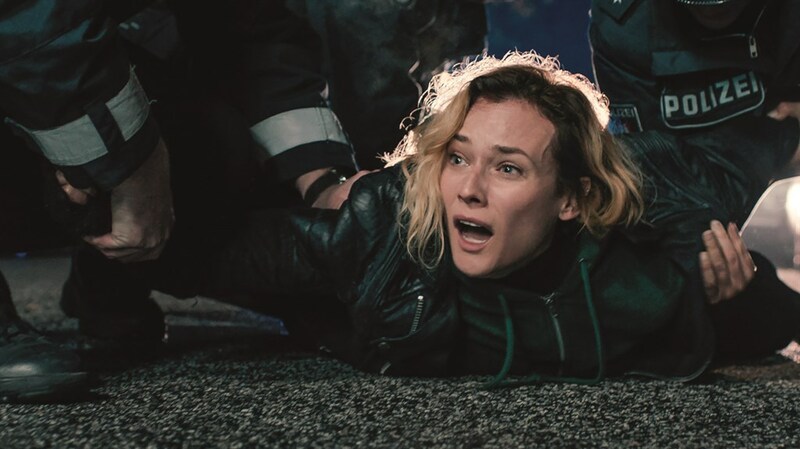 Written and directed by Fatih Akin, “In the Fade” is a masterful piece of art that shows the depth of losing the loved one, revenge and inability to move on. During the Toronto International Film Festival, I had a great pleasure to sit down with Fatih Akin and Diane Kruger to discuss the deep meaning of the film and its concept, I am sure, you will find interesting to learn about. IN THE FADE director Fatih Akin. Courtesy of Magnolia Pictures. MOVIESMOVEME: I would like to start by asking you about how the idea of making “In the Fade” occurred. And to Diana, how did you become a part of it? 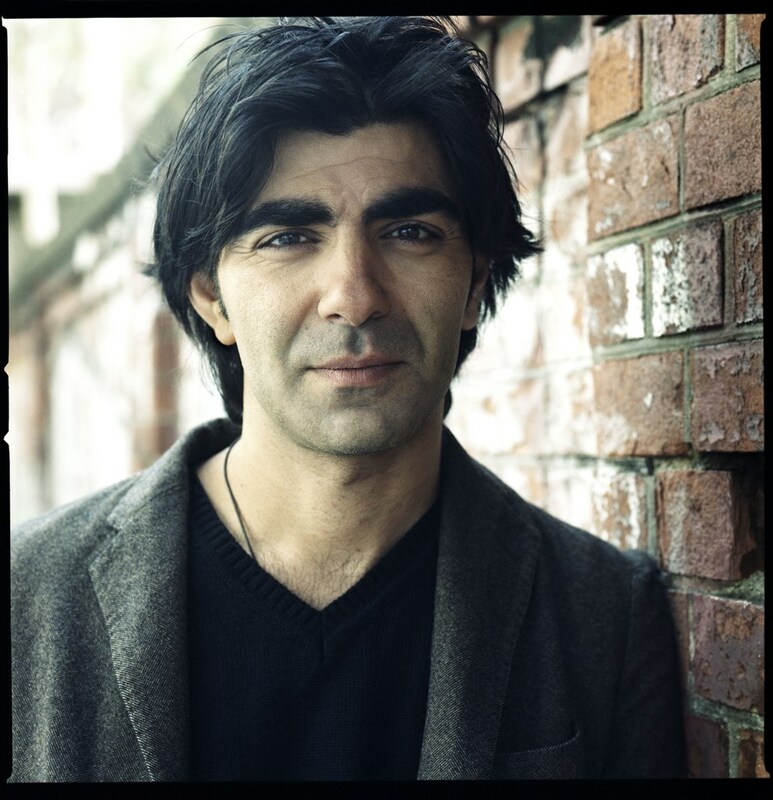 Fatih Akin: First it was meant as a political film, in a way. I read newspapers like everybody does, we have a problem in Germany with Neo-Nazis since a while. Actually, after the WWII. It was never really over, it still resisted. I am a kid of the 90’s, and a lot of assassinations and attacks happened in the 90’s in Germany. They were attacking Turks or color people – just because they were from somewhere else and they were not “white”. And I was so angry about it that since then I wanted to write something. But it is difficult to write about your anger in an entertaining and reflecting way. It took a while. Once I had the screenplay, I wanted to have an “Aryan”. You know, in Germany they are the usual suspects. And I wanted to have a special actress, so that is when Diane came to my mind. Diane Kruger: I didn’t know about this project when I met Fatih five years ago. I went up to him to say that I would love to work with him if he ever had anything because I was a big fan of his movies. And then he remembered. So, five years later he called to talk about this movie and I immediately said yes. I would’ve been an extra in his movie. MOVIEMOVEME: I really liked the fact that you didn’t turn Diane’s character into a crazy woman doing all this stuff to get the revenge. Which she could be, because she lost basically everything. Was there any thought or consideration that maybe Hollywood might want you to do it? And a question to Diane, this is your second movie played about Nazis. What parallels do you see between what was happening back then (maybe you are too young to remember but from talking to elder people) and what is happening now in the United States and in the world? Diane Kruger: To be honest I, the reason I was attracted to the film was that this was about a Neo-Nazi attack. But that is not the reason why I wanted to be a part of it. I saw that this is a movie about the people that stay behind and who have to deal with losing everything. I’m very much a child of the European Union. When I was growing up, all the borders were opening up, and all these opportunities and possibilities came my way. But we all are living in this world that seems like we’re moving backwards rather than forward. Terrorists have nearly become a daily thing to deal with. I find myself – I’m sure like many people – staring at the TV screen and thinking about how we ended up becoming so numb about what’s going on. Everything has been reduced to numbers. On TV we hear: “Breaking news: 200 people died!” and we see those horrible images for a day, then we move on to the next story, right? We never hear about the people that have stayed behind. The murderers, the terrorists become these instant stars because we want to know how they became murderers. They can be jihadists, they can be neo-Nazis or anything else. I like that in this movie we don’t know anything about these people. Because at the end of the day, it doesn’t really matter. What matters is what happens and how people can live and go on. Or can they go on after this terrible thing happens? I was emotionally really connected with that. That’s what interested me. I am sure Fatih had other motivations to write this movie but to me, it was important that it wasn’t a patronizing film. Fatih Akin: It became into that. I start with the background. Then, once she was involved, it turned into a film about the foreground. And the background somehow became exchangeable. I watch a lot of Asian films before that. Especially because of how they deal with the revenge. You have these Korean films by my soul brother Park Chan -wook. Those are different films. I like to watch them because there’s a lot of blood in there and a lot of beautiful women and a lot of crazy stuff in there. But I cannot do that you know. Even if I want to, I cannot. I have to believe in what I do. So we have this very spectacular story of this woman doing these spectacular things in the film. And spectacular things happen to her. But how can I make it as convincible and believable as possible? So the Korean way is not the right way, the Hollywood way is not the right way – I have to find my own way to make it believable. MOVIESMOVEME: Did you play with the fact that at some point the character was going to do it? Because she hesitates. Fatih Akin: She was going to do that, man! Yeah, I had that image in my mind. MOVIESMOVEME: But it’s scary. You said it was not political but it is political in a way. Fatih Akin: You mean the end? If you ask me privately, not in this interview, I would say that it’s a happy end. But it’s because I see things maybe differently. Diane Kruger in IN THE FADE. (c) 2017 Bombero Int. Warner Bros. Ent. Photo by Gordon Timpen. Courtesy of Magnolia Pictures. MOVIESMOVEME: Something else that is so core in the film, is how disruptive hate is as an emotion. Not only from the neo-Nazis, but for Diane’s character as well. I’m curious that from both perspectives was it important that it really came through? I mean during the filming and in your performance? MOVIESMOVEME: But justice was denied. And that’s a big point. Is that the turning point in her motivation? Fatih Akin: I think you guys here in Canada and we in Germany, we don’t have the death penalty. I support that. I think a society always has to be smarter than the individual. As an individual, if fate makes me to face what the character had to face – and I hope that never will happen – maybe, I wouldn’t be so smart as a society would ask me to be. I’m okay with what the society had created, I support that, I vote for that, I defend that. The individual is not that smart and the whole society should be. MOVIESMOVEME: But if justice had prevailed. Forget the death penalty, but if they had at least gone to prison. Fatih Akin: Yeah but they don’t go to prison, they have a good lawyer. MOVIESMOVEME: As I watching the film and writing my notes – trying to guess what was going to happen to Katja. There were two scenes that actually gave me the idea of how the film was going to end. The first scene was when during the court Katja was watching the video about how the bomb was prepared and the other one – when she was fixing that toy. So we already knew the character was so well developed, and I know your films, so I knew that pretty much from the beginning you knew that. I would like to ask you about that collaboration, where you give the attentive viewer a hint ahead of time. Diane Kruger: You totally got it. That’s exactly what we did. Fatih Akin: Yeah, that’s what we put in these scenes. I don’t know – I have to believe it. Like I said before, can she build a bomb like this? How would she do it? I have to create a scene for that. Everything we talked about, every day when we had to struggle about some scene or line, we would say – we had to do it this way because of the end. So, it was always the end that was guiding us somehow. MOVIESMOVEME: The performances are really powerful in the movie. I am wondering what place as an actor did you have to go to because its super unimaginable what happens to Katja. And how is it as a director to film these really emotionally charged scenes? Diane Kruger: You just have to jump off that cliff. A lot of it is the preparation – allowing yourself to feel. You’re naked – putting yourself in those shoes, talking to people and just listening to your director. Because Fatih has a family, and listening to what he would have done. I don’t know – you just have to allow yourself to feel it. Fatih Akin: I create a space. That’s the only thing I really do. I create a space where my actors don’t have to fear. That’s the only thing I can do – using tricks like going out to dinner and having drinks, just to create the space where we trust each other. And I have never met an actress who was that prepared. And with Diane it’s not like this. She was prepared. So I just had to say action and that’s it.